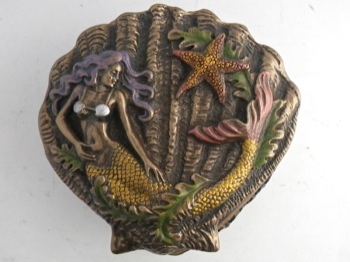 Beautifully detailed scallop shell box with a golden mermaid handpainted with sea grasses and flowing hair. 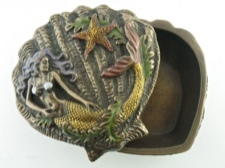 Made from cold cast bronze powder mixed with resin, durable yet lightweight. 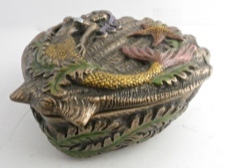 Box lies 4 inches by 3.5 inches, and stands 1.75 inches high.